1. Keep fuel tank half full or more. It provides weight to the rear end to track through snow better, lessens condensation formation in the fuel tank during temperature swings, and provides a cushion of time to keep vehicle running if you get stuck in cold weather. 2. Be sure tires are in good condition. Good tire tread is essential for turning, accelerating, and stopping on snowy roads. 3. 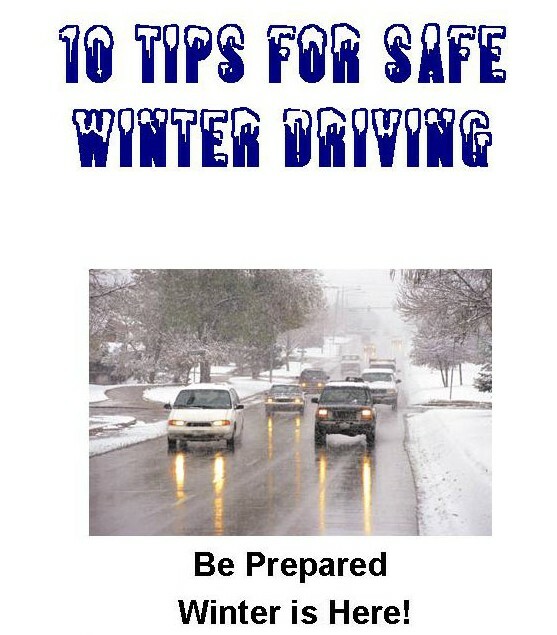 Keep windshield, side view mirrors/windows and rear window clear. Make sure the windshield washer reservoir is filled before driving, especially after the roads have been salted. Clear vision is key to being able to react quickly to changes in the road and to other vehicles around you. 4. Remember that four wheel drive gets better traction when accelerating from a stop, but does not stop any better than a two wheel drive vehicle on icy roads. 5. If you get stuck in snow, do not try to rock vehicle free with transmission. Multiple drive-to-reverse shifts can overheat and damage the transmission. 6. If you have to travel in a snowstorm, use familiar roads. Snow can cover signs and road surfaces making it easy to drive off the road, and get stuck in a ditch or snow bank. · Supply of high-calorie, non-perishable food (candy, canned nuts, nutrition bars). 8. 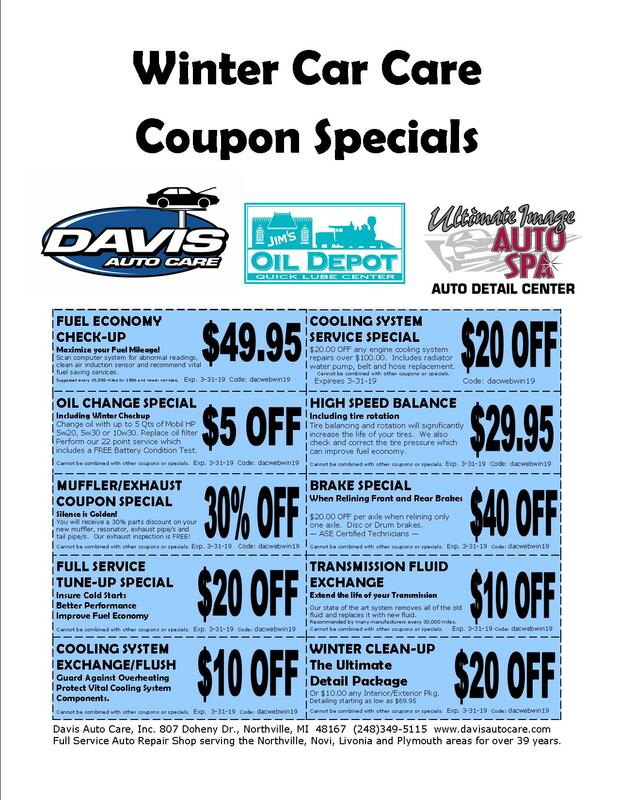 Make sure your vehicle is in good running condition. The vehicle systems that are vital to ensure safe and reliable winter driving include the brake system, battery/charging system, fuel injection, ignition systems and the engine cooling system. 9. Allow extra distance for safe stopping and turning. Better to creep around a corner than to find ice on the road and slide into an intersection! 10. Slow down- everything. Sudden turns or brake applications could start the vehicle spinning, and driving too fast may not allow enough time to react to changes ahead.